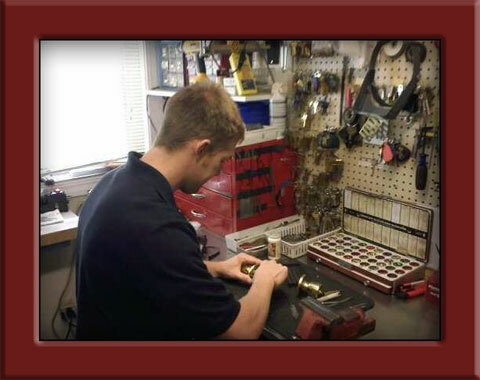 May Hardware has been known for it's quality locksmithing for 30 years. We do safe and safe deposit box work, rekey locks both in the store and in the field, provide emergency lockout services for home and auto, install and repair locks, install and maintain access control systems, and are able to cut automotive keys to code. High security locks such as Medeco brand are available. Quality safes such as Amsec and Fort Knox are also available.